Applebee's Grill and Restaurant is the world's largest casual dining restaurant company. With more than 2000 restaurants in 19 countries around the globe, it is a well-recognized brand and a leader in the causal dining segment. Applebee's opened its first restaurant in Jeddah in 2003. Tarfeeh owns the franchise rights in the Kingdom of Saudi Arabia. It currently operates restaurants in all major cities in KSA with further expansion plans into other potential markets. It currently operates more than 20 restaurants. 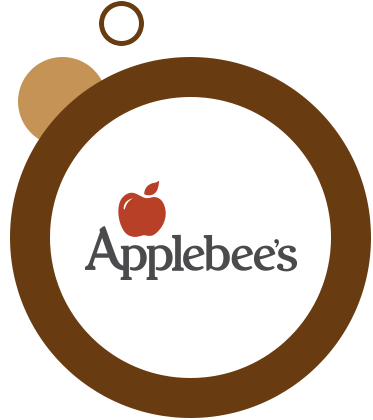 TARFEEH is the largest franchisee for Applebee's in the Middle East with multiple locations across the country. Tarfeeh was awarded the "Franchise of the year" Several times. There are more Applebee's restaurants in KSA than any other core casual dining restaurants that makes it the most recognized brand in the market. All Applebee's restaurants have a friendly and family setting atmosphere with something exciting on the menu for all age groups with great emphasis on freshness and quality. They are an ideal place for business gatherings and special occasions offering a variety of American and Tex-Mex cuisines. Chefs and development teams keep the menu up to date, introducing two or three menu changes throughout the year. This is one of the strong differentiating points from other casual dining restaurants. Guests enjoy hearty portions of their favorite food at "great value" delivered by people who are passionate about quality service and guest satisfaction. Applebee's offers a variety of delicious items on the menu ranging from high quality fajitas to sizzling steaks, specially designed kids menu and a premium desserts selection. Applebee's success in Saudi Arabia could not have been possible without the great support from local communities. The team is committed to being socially responsible and involved in giving back to the neighborhood, working closely with local charity organizations and by allowing guests to be directly involved as well. Al Ashreah St. Al Sha'ati Dist.